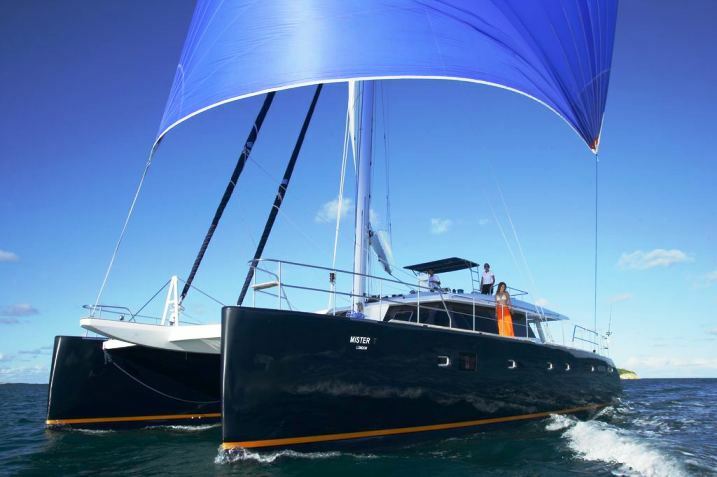 This Caribbean & Mediterranean Sunreef 60 catamaran sailing yacht is a spacious and new, luxuriously fitted, professionally crewed charter boat - which is ideal for a charter vacation around the Caribbean’s beautiful island waterways or Mediterranean exotic coastlines. 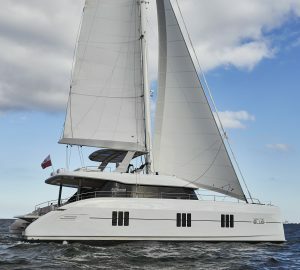 The sunreef 60 catamaran offers charter guests superb relaxation areas and is ideal for cruising because along with her comfort she also provides exceptional stability and comfort when sailing or under power. 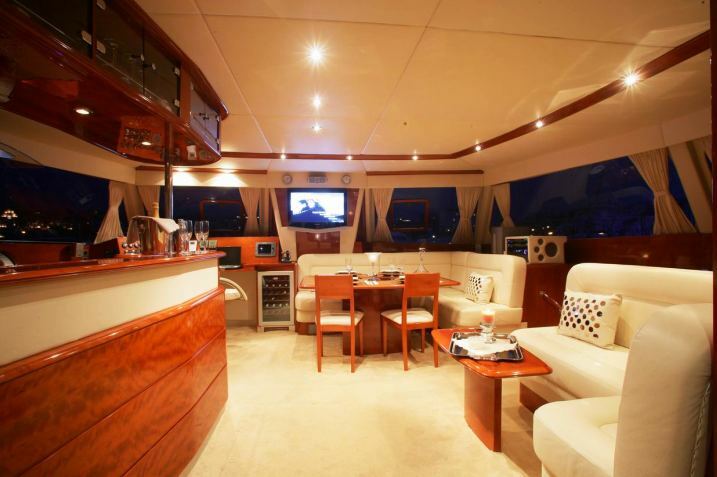 The large catamaran’s main saloon features a sublime view of the 360° panorama and a large table, surrounded by very comfortable leather seats. 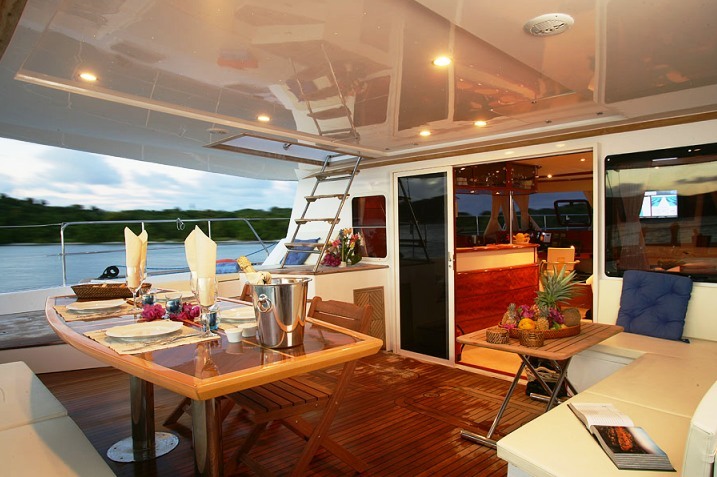 She also has a unique and spacious fly bridge space which considerably enlarges the catamaran’s already huge living areas. Her expertly finished interior design features a contemporary ergonomic curved sculpted spaces and lovely American cherry-wood provides warmth to the cabins along with the utilization of natural leather. The professional and friendly crew includes and chef so you can have your choice of meals designed expertly to your taste. 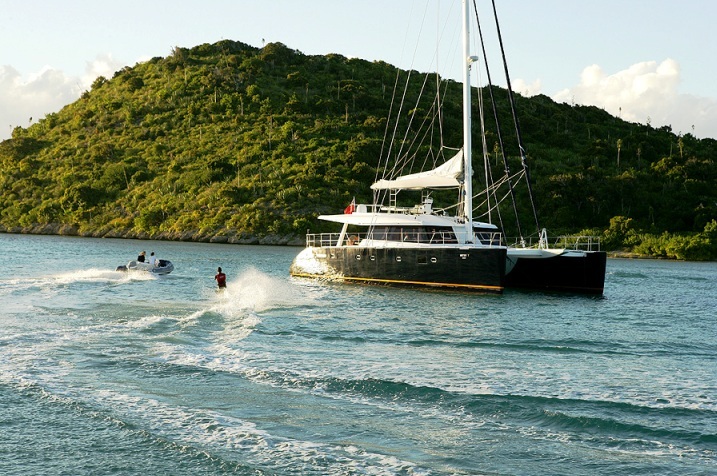 Imagine the unbeatable atmosphere, on this charter yacht, as you relax in a gorgeous island anchorage or a lovely old Port, steeped in history, whilst sipping cocktails on starlit nights with warm breezes. 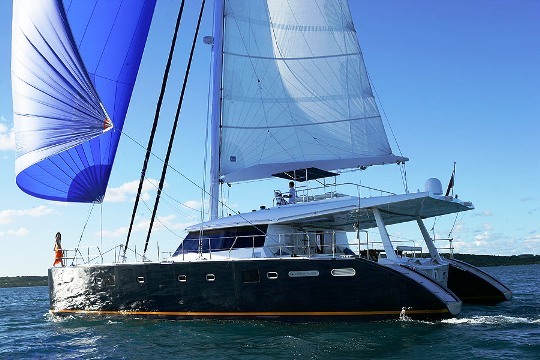 The Sunreef 60 catamaran will be a charter vacation adventure you will never forget. 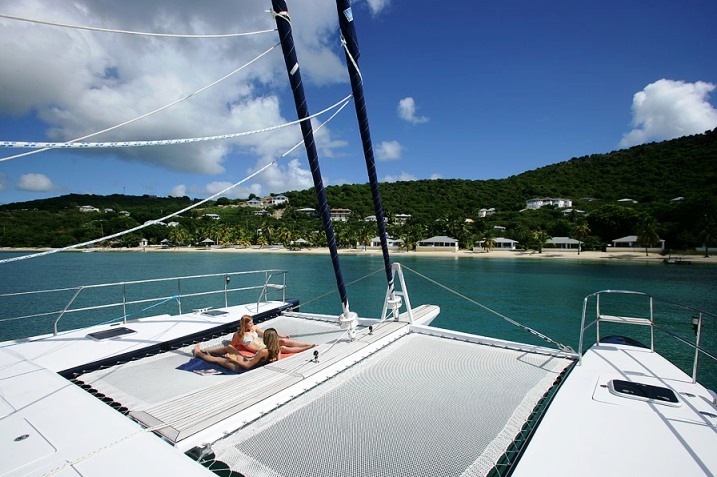 The Caribbean & Mediterranean Sunreef 60 catamaran offers up to 8 charter guests spacious accommodation in 4 cabins. 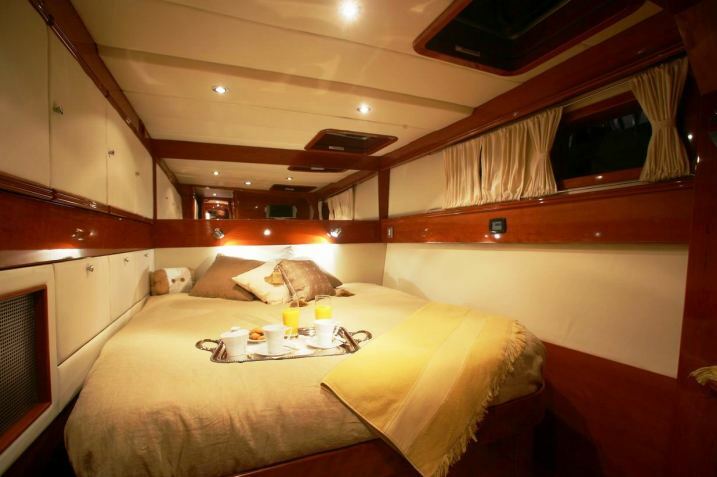 He cabin has its own private personal bathrooms/ensuite is fully air-conditioned, and includes a Hi-fi music system, DVD player and LCD TV. 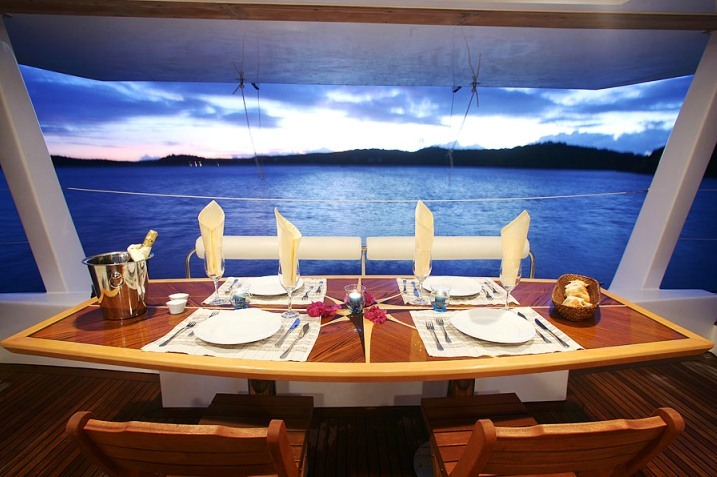 The catamaran offers meticulously designed furniture with a high gloss finish. 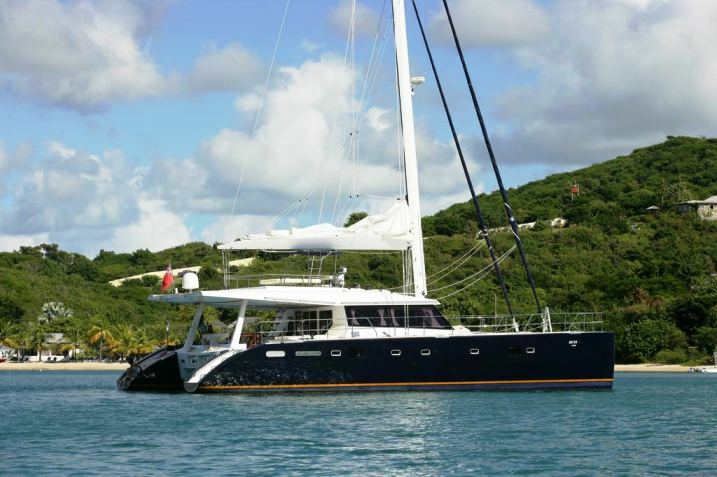 The Caribbean & Mediterranean Sunreef 60 catamaran provides the following amenities while on charter: Diving & deep-sea fishing, scuba diving and all the necessary equipment such as flippers, masks etc, board games, and a tender with outboard engine.